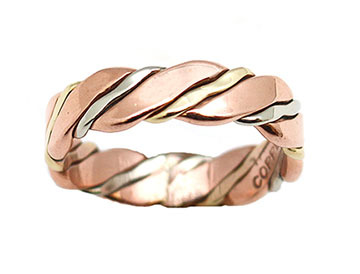 This band ring is made with flat copper, brass and nickel silver twisted together. It measures approximately 1/4" wide and is handmade by Navajo artisan Verna Tahe. Available in size 5 1/2 thru 14 1/2. Choose sizes when ordering.